Patient no-shows and last minute cancellations are a money and resource wasting fact of life for medical practices. There’s no way around them entirely, but there are some practical steps that practices can take to keep them to a minimum. Here are some tried and true best practices for reducing the number of no-shows. Telephone appointment reminders never hurt, but some patients are more likely to pay attention to a text or email. Although it adds a bit of complexity, choosing the reminder method that the patient prefers can have a big impact on reducing no-shows. The first step to avoiding a no-show can begin when the appointment is scheduled. If the visit is to be a follow-up, be sure to communicate the reason that an appointment is necessary, what will be discussed, and what additional actions can be expected. People are more likely to come to a follow-up appointment even if they are feeling better if they have a clear understanding of why it is important. Although no-shows and cancellations are a big pain for practices, there are many legitimate challenges that can make getting into the office difficult for patients. Missing time from work, finding child care, and wasting time or money in traffic are real-world concerns that lead to missed appointments. One way to take these burdens off patients is to implement a telemedicine program. Visits via video are much easier, quicker, and less expensive for patients and they eliminate many of the reasons people fail to show up. Opinions differ on whether it is a good idea to charge a fee for no-shows and last minute cancellations, but whether or not you decide to do so, it is helpful to have a written cancellation policy that patients sign. It should state the reasons that no-shows are bad for the practice and detrimental to patient health outcomes. It should ask the patient to commit to a reasonable notification period if they do need to cancel or reschedule an appointment. Your cancellation policy will ask patients to respect your time by giving notice if they have to cancel, it is reasonable for them to expect that your office will respect their time by minimizing the time they have to wait to be seen. 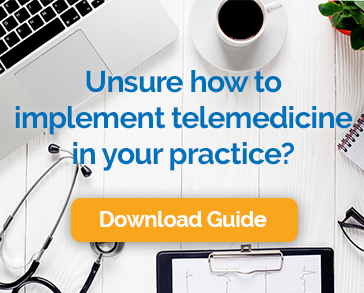 This is another benefit of a telemedicine program, which tends to lead to shorter wait times for the patients who do need to come into the office. If the office is running behind for some reason, be sure to communicate that to patients so they know what to expect. By reaching out to learn why an appointment was missed, your staff may see some trends or notice process errors that could be corrected to improve the number of kept appointments. Be sure to track no-shows and cancellations so that you can identify particular patients who routinely miss appointments. You may uncover a barrier that keeps them from making it in that can be addressed. They may also need a reminder about your cancellation policy. In extreme cases, it may make sense to discharge a patient who habitually misses appointments due to carelessness, but often there is a way to solve the challenge and turn the situation around. Patients should understand how to cancel an appointment in advance or how to reschedule it. The more ways that they can do so, the more likely you are to get the notice that you need. Online scheduling tools help, especially when used in conjunction with electronic appointment reminders. If a patient needs to come in for a check-up in six months, you might consider waiting until closer to the due date to schedule an appointment. A lot about a person’s schedule can change in that amount of time and people are much more likely to forget about something that far away. There’s no silver bullet or one-size-fits-all solution to the problem of no-shows and last minute cancellations, but these steps can go a long way toward minimizing the problem. Get started with Chiron’s user-friendly platform today!